Hello! Welcome to the first day of Taylored Expressions March Sneak Peeks! The Baker's Dozen is kicking off 4 days of projects (3 days of peeks and release day). All products will be released on Thursday, March 5 @ 7 AM PST. Today I have a 12x12 layout that I made using a few of the new wedding/love products. I scrapbooked a photo from our wedding. The photo is framed using the largest frame from the Frame in Frame Cutting Plate. 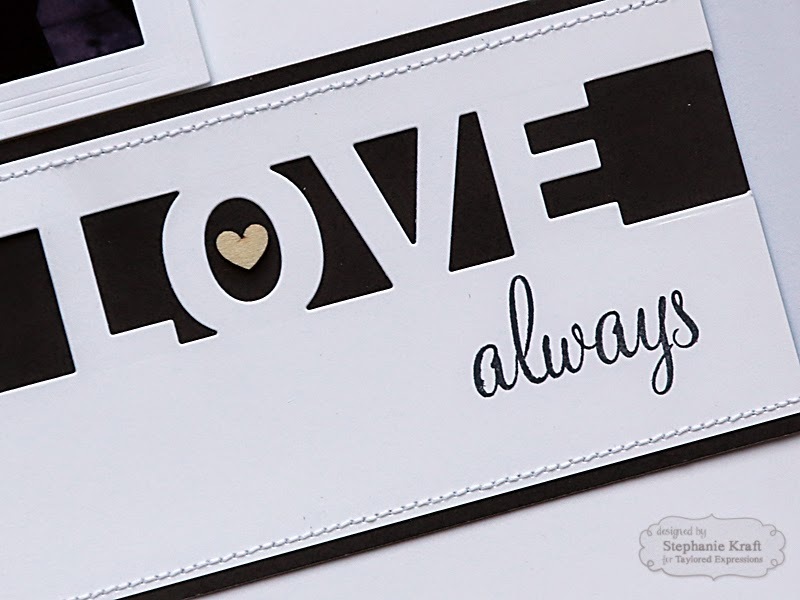 For my layout title, I combined Block Party - Love with the In & Out - Wedding stamp set. 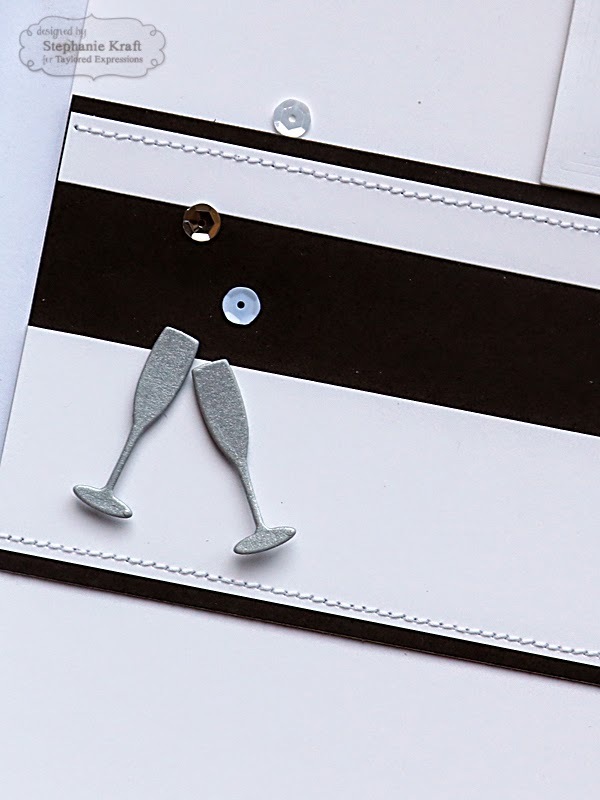 Accessories: Taylored Dies: Block Party - Love, Little Bits - Champagne Flutes, Frame in Frame Cutting Plate (TE); Wood veneer heart (Freckled Fawn), Sequins, Foam tape, Thread, Sewing machine. Such a beautiful scrapbook page. Great job. Great release. Love the LOVE die and how you used it. LOOOOOOVE it!!! You were such a beautiful bride!! Those tiny champagne glasses are adorable! Have a great release week Steph! Like the use of the photo. Great idea. This is sooo beautiful, Stephanie!!!! 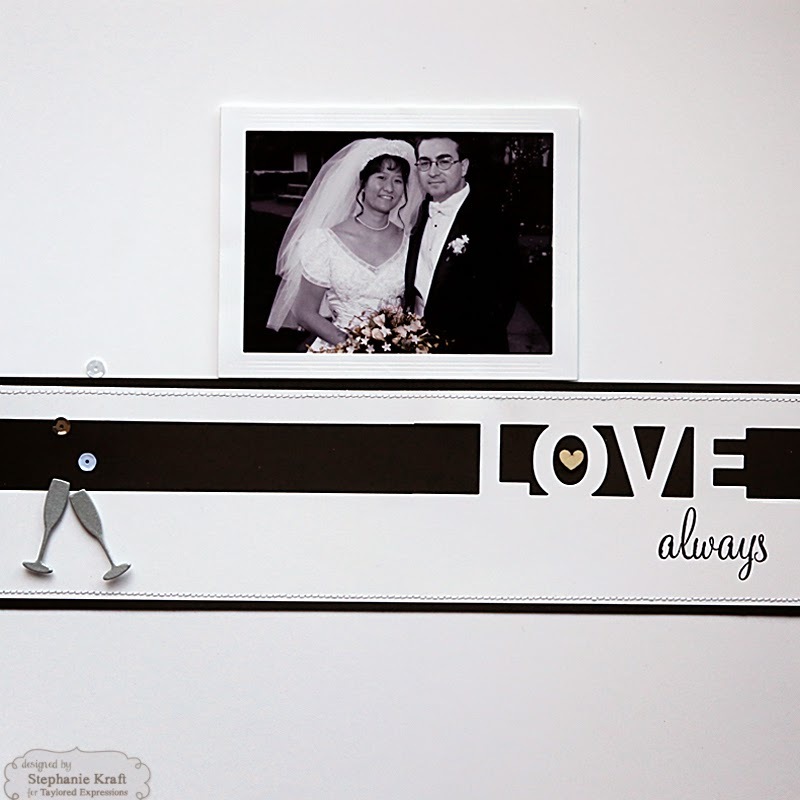 I love how you used all the white space and let your gorgeous wedding picture and the new dies take center stage!!!! The little champagne glasses, sequins, and the tiny heart are the perfect details!! !